Did all nineteenth-century thinkers believe in progress? 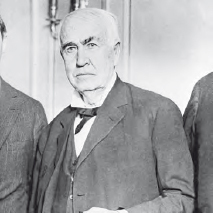 Still, many did share Edison’s optimism, and it was the popular national view. Timothy Walker, a lawyer from Ohio, wrote in the North American Review in 1831 that machines free ordinary people from burdensome labor and promote democracy. The idea of progress through technological innovation was certainly the faith held by such prominent thinkers as inventor Thomas Edison (AP).